Spatial planning is increasingly being considered as an important mechanism in coping with flood risk due to climate change. One of the reasons for this is that engineering approaches are increasingly expensive and cannot provide complete certainty of protection against climate-related floods. The thesis examines whether and how spatial planning is used in urban areas to promote resilience to flood risk and climate change. In this study, planning is considered as the regulation of physical implementation as well as the process of policy-making that guides spatial development. This process mainly involves the interaction and collaboration between actors (both public and private). The notion of resilience is being used more and more in discussions of complex issues like the impact of climate-related flood risks on spatial development. The interpretations of resilience can vary significantly depending on the local context, the focus of spatial development and the interests of the actors involved in decision- making. The study proposes six characteristics of planning decision-making that can help to promote the resilience of cities. These comprise: (i) considering the current situation, (ii) examining trends and future threats, (iii) learning from previous experience, (iv) setting goals, (v) initiating actions, and (vi) involving the public. The importance of these characteristics over time for policy and practice is examined according to empirical evidence from detailed case study analysis. Six case studies are presented, four in Taiwan and two in the Netherlands. In all of the case studies, the issue of flood risk and spatial development is considered important by policy- makers, but the planning strategies used to tackle climate-related flood risks are often different, as are the experiences of flooding and governance arrangements. The information gathered is primarily based on interviews and the review of planning policies, government reports and research documents. Comparative analysis is a central focus of the study. The analysis has both a national and international perspective, comparing cases within Taiwan and between Taiwan and the Netherlands. The national comparison examines the way in which local planning governance is addressed in shaping decisions to deal with flood risks. This can vary among cases which share similar spatial development objectives and national institutional framework. 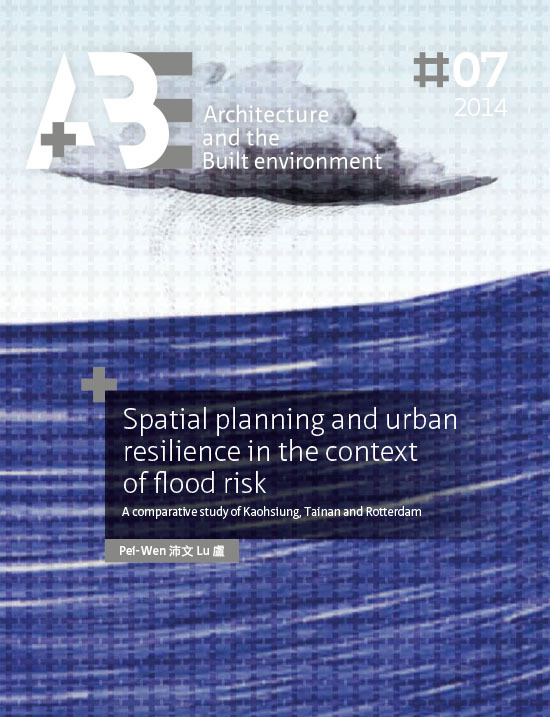 The international comparison between Taiwan and the Netherlands examines the roles of planning to promote urban resilience in the context of flood risk and climate change. Three conclusions can be drawn. First, the interpretation of resilience is dependent on the views and interests of the actors involved. These change over time and can be seen in different episodes of policy-making. Second, the importance of the different assessment characteristics varies from one case to another. The interests of the leading actors, the interpretations of flood risks and the framework of local collaboration are all major factors that shape these differences. These factors are often associated with planning traditions and relatively stable in resistant to change. Third, when there is a collaborative framework for planning involving multiple actors, the result is a more comprehensive set of strategies in dealing with flood risk.